Do you consider yourself a king or queen of domestic cleaning? Or are you not ashamed to admit that the cleaning may be area of neglect in your household? Well, whichever category you fall into, we are pretty confident that you never remember to check these sneaky areas. When it comes to vacuuming many of us have our little routines which always includes the hard floors and carpets but there are many more places lurking in your home that require the attention of good old’ Henry. This is not somewhere that springs to mind when it comes to vacuuming but let’s take a look at the bigger picture. These are closed areas that can quickly accumulate dust and dirt, yet we are more than happy to store our clothes in here! Seems a pretty obvious place when you think about it. On of the key things here is that not only will the dust make your clothes smell musky and stale but it can have detrimental effects on your breathing and skin. Now this is an important one! We spend, on average, a third of our life asleep and yet hardly any of us consider vacuuming our mattress. 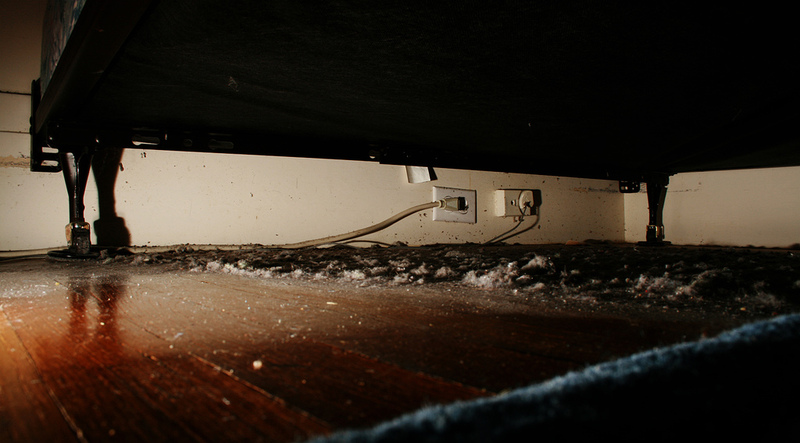 Much like the reasons above, large amounts of dust can lead to respiratory problems and unnecessary allergies forming. Don’t panic – this does not have to be a weekly domestic cleaning job but if you can fit it in your domestic cleaning schedule once a month, it would make a huge difference. When we aren’t sleeping or working, we are most likely relaxing on our sofas (or watching the kids destroy them!). This sofa time often includes snacks, pets and general dust so it is a real must to add this to your weekly vacuuming. We know it is a pain and actually these are often the reasons that we are asked to come in and lend a helping hand. Come on, admit it. We are all guilty of a mid-work snack and this can lead to a serious breeding ground for bacteria within our keyboards. Use the vacuums brush attachment to get right in the nooks and crannies to ensure a thorough clean. Combine this with an anti-bacterial wipe and you can be sure it is happily sanitised ready for the next crumb avalanche! Last but by no mean least, it is time to get down on those hands and knees and reach under the bed. This is a place where dust loves to hide. This is often because of where we walk around the bed we send a draft underneath which takes the dust with it. For general health and cleanliness, we recommend you do this once a month. We hope you can add these naughty places to your cleaning schedule but don’t panic if you can’t. We are here to help! Give us a call or simply drop us an email and we can discuss your requirements.